1. My Sister’s Keeper by Jodi Picoult, purchased in 2012. I did that thing again. I watched the movie before I read the book. This really doesn’t happen that often, and it was before I was a big Picoult fan, but regardless it happened, I can’t take it back. Apparently, the book and movie versions are quite different though. The movie made me cry like crazy. (The song below is featured in the part where I was blubbling, though the video uses clips from The Notebook instead). 2. 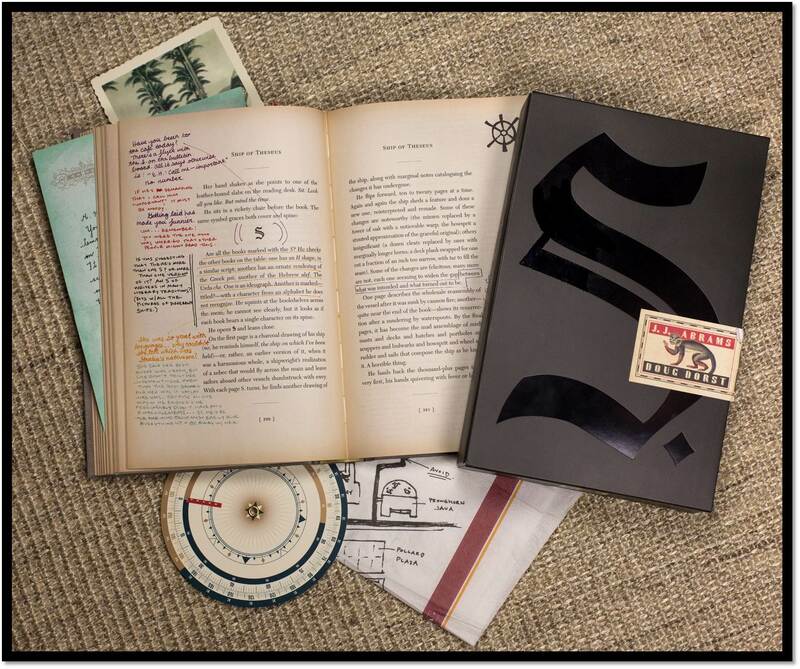 S. by JJ Abrams and Doug Dorst, purchased in 2013. 3. The King’s Curse by Philippa Gregory, purchased in 2014. I bought a box set of the first 5 books in this series (The Cousins’ War) and flew through them. There was around a 6 month gap between me finishing book 5 and this book being released (maybe more), and I kind of wanted to reread the whole series before starting this one, and it’s still what I plan to do, should I ever get the luxury of more time. I have seen, and own, the entire BBC TV adaptation though, which was fab! 4. Mini Shopaholic by Sophie Kinsella, purchased 2011. I began reading the Shopaholic series when I was a teen, and I used to love it. When this new book came out I snapped it up, but similar to above I wanted to reread the series before I dove into this one. Part of me is a little afraid I’ll not enjoy the books now I’m officially a grown up, even though I’m technically the target market. 5. The Wolf of Wall Street by Jordan Belfort, purchased 2013. I picked this up because I really wanted to see the movie, but I wanted to read the book first. Fast forward to 2016, and I haven’t yet read the book or seen the movie. I should fix this soon. 6. A Game of Thrones by George R R Martin, purchased 2013. I got a box set of the Song of Ice and Fire series back when it suddenly boomed into this massive deal that everyone was reading. I think the TV show had just been announced, or the first season had just been released, when I purchased these. All 6 or 7 of them are still sitting with their spines un-cracked on my bookshelves. 7. The Casual Vacancy by J K Rowling, purchased 2013. As soon as a new release by J K Rowling was announced, I was determined to get my hands on it. Then I read the blurb and lost interest (a council election?! ), then I heard quite a few bad reviews, and I never picked it up. However, in recent years I’ve heard much better reviews, and I’ve seen Rowling in interview explain the plot in more detail, and now I’m really intrigued! 8. The Language of Flowers by Vanessa Diffenbaugh, purchased 2012. I got this book as part of a collection from The Book People before I started blogging, added it to my book pile, and didn’t think much more of it. Sometime during my blogging years, I’ve come across great reviews for this book (it also has over 140,000 ratings on Goodreads, with a 4.06 average), and now I’m looking forward to reading it. What books have gathered dust on your shelves from before you started blogging? Or, if you aren’t a blogger, what books did you buy ages ago that you haven’t picked up yet? Let me know in the comments! My book collection certainly ramped up when I started blogging as well. I used to read books as soon as I got them! How times have changed… I really enjoyed My Sister’s Keeper. I haven’t watched the movie yet! 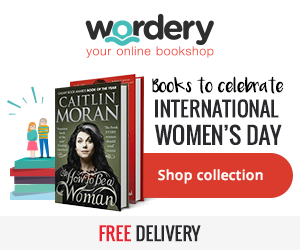 So many of these are on my TBR as well, especially A Game of Thrones and The Casual Vacancy. For some reason I’m so intimidated by GoT– I think it’s the size of the books/series and intensity of the fandom that seems a little daunting to an outsider. S. It took me a while to read the book because I’ve had to implement a strategy as to how to tackle two stories going on simultaneously. It’s very ingenious, though. I’ve heard The Language of Flowers is really good. I can’t remember My Sister’s Keeper, but I know I read it and watched the movie. That’s how bad my memory is! I think My Sisters Keeper is one of her best and so I say definitely read it. I also saw the movie but don’t remember it now to be honest. Casual Vacancy was great. I loved the deviousness at the start. No dreary council election, this is a very good book. The movie wasn’t anywhere near as good. I’ll look forward to your review. I want to read The Casual Vacancy too. I follow (stalk) Rowling on Twitter and I’ve been wanting to get my hands on it as well!! My Sister’s Keeper is one of my favourite books, the book is so much better than the movie and nearly everything is different, so watching the movie first won’t have spoiled it for you! I’ve really been wanting to read S as well! I loved the whole Game of Thrones series (so far…) but the first one is definitely daunting with it’s size perspective switches. It really is worth the effort though. I am so sad you watched My Sister’s Keeper before reading the book. The book is a million times better and the end of that made me cry a billion times more than the film. I was so angry when I watched the film, they changed so much.I highly recommend the book though, it is sooo good. The Language of Flowers was one I read before I started blogging and it was really interesting. I learnt a lot of new things whilst reading it. I keep trying to get my hands on the Game of Thrones series via our library and EVERY TIME I’m up next for the hold somethings happens and I can’t get to it.